Este artículo está disponible en español aquí Resistance against the Dakota Access Pipeline (DAPL) at Standing Rock has gained unprecedented coverage. At the center of the story is a thousand-plus miles long pipeline that would transport some 500,000 barrels of oil per day from North Dakota to Illinois. The pipeline is backed by Texas-based Energy Transfer Partners. And It faces a huge line of Indigenous nations who’ve come together to say “No” . 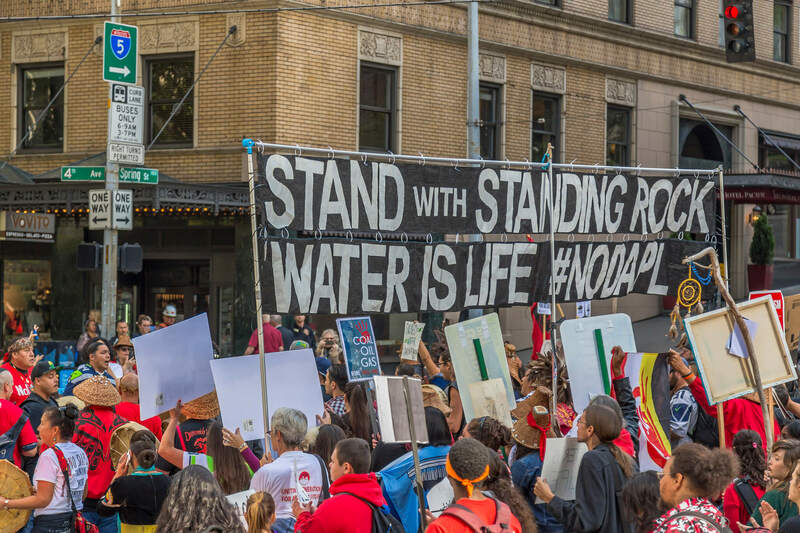 Indigenous nations across the USA mobilized to protect Standing Rock. There are thousands of people now standing their grounds, including over a hundred Nations from across the Continent. Tara Houska, from the Ojibwa Nation, says this gathering of tribal nations at Standing Rock is unprecedented since Wounded Knee in 1973. Though it’s making less headlines now, the ongoing pipeline resistance has faced the same brand of repression that other megaprojects face in Guatemala, Peru and elsewhere around the world: with violence and impunity. Most recently, over 20 water defenders were arrested on charges ranging from disorderly conduct to trespassing. Earlier this month, pipeline guards unleashed attack dogs (biting at least 6 people), punched and pepper-sprayed Native American protesters. Waves of support emerged everywhere. A coalition of more than 1,200 archeologists, museum directors, and historians from institutions like the Smithsonian and the Association of Academic Museums and Galleries denounced the deliberate destruction of Standing Rock Sioux ancestral burial sites. In Washington DC, hundreds gathered outside President Obama’s final White House Tribal Nations Conference in a rally opposing the North Dakota Pipeline. Stands with Standing Rock! Peaceful March & Rally Seattle, WA. Photo: John Duffy/flickr. Some Rights Reserved. Dave Archambault, Standing Rock Sioux Chairman, took the case to the United Nations. He denounced the destruction of oil companies and the Sioux determination to protect water and land for unborn generations. 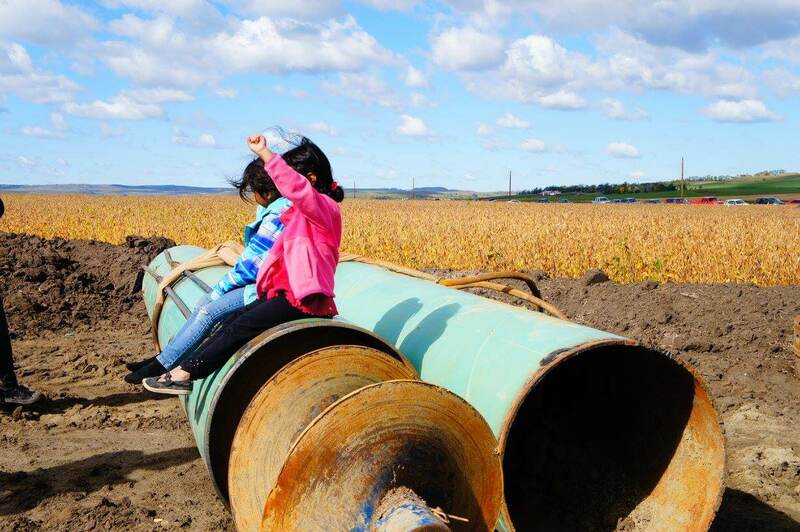 The UN Special Rapporteur on the rights of indigenous peoples, Victoria Tauli-Corpuz, responded by calling on the United States to halt the construction of the pipeline saying it poses a significant risk to drinking water and sacred sites. Standing Rock has become emblematic of a much broader battle against predatory development. The invasion of Indigenous territory without prior consultation is unfortunately all too common. The disregard of state treaties and environmental regulations is not an exception, but the norm. Across the Americas, there are hundreds of nations resisting megaprojects on their lands like Standing Rock. Many of these struggles are taking place now in North America. 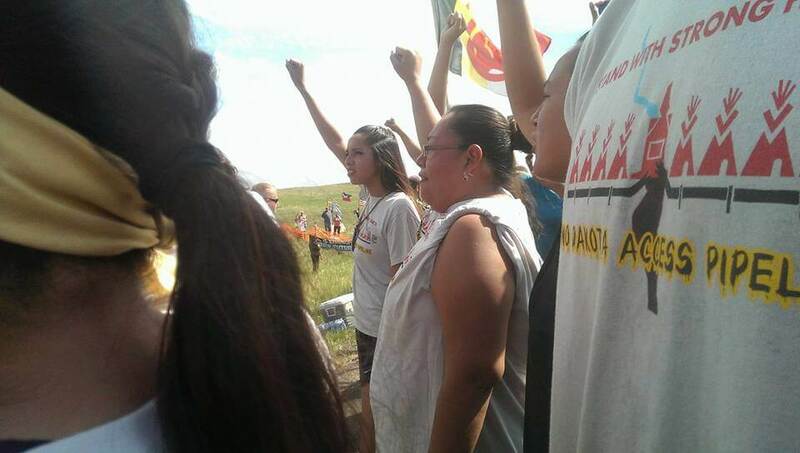 People know that Native Americans protested the Keystone XL pipeline in Oklahoma. But there are many more pipelines that receive little or no media attention. In Canada, the Energy East Pipeline would carry 1.1 million barrels of crude per day from Saskatchewan to Ontario and on to Saint John, New Brunswick. The pipeline will secure crude exports to the more profitable markets of Europe, India, China and the U.S. But it threatens the lands of more than 30 First Nations and the drinking water of more than five million Canadians. There is the Northern Gateway Pipeline, which Canada’s Federal Government conditionally approved in June 2014 without prior consultation. The Yinka Dene Alliance First Nations refused the pipeline permissions to enter its territories. There are eight First Nations, four environmental groups and one union now challenging the pipeline in court. Last June, the Federal Court of Appeal overturned the project. The Unist’ot’en clan of the Wet’suwet’en Nation are continueing to resist the Pacific Trail natural gas pipeline in British Colombia. Coast Salish Peoples on both sides of the U.S.-Canadian border are opposing Kinder Morgan’s proposed TransMountain pipeline project. 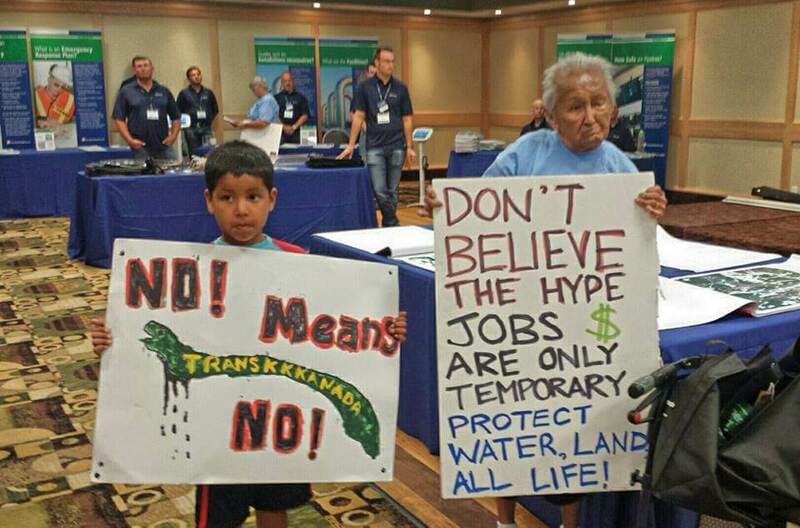 In Minnesota, the Red Lake Band of Chippewa Indians are fighting against a set of Enbridge pipelines. There are many other pipeline struggles around the world, including in Peru, where the Wampis are cleaning up oil spills on their own; and Ecuador, where urban youth and ecologists have joined Indigenous communities in defending the Amazon from further oil drilling in the Yasuni. What is at stake is Indigenous territory coupled with the greater need for healthy land and clean water for posterity. Resisting pipelines is to defend nature from the tentacles of extractive industries that continue to place corporate interests ahead of human rights and needs even as the climate crisis pulls us to the point of no return. Standing Rock is about Indigenous self-determination as much as it is about restoring relations of reciprocity between humans and nature.Without respect to Indigenous nations there will be no reversing of climate change. Peru may offer inspiration to redefine rights of extraction–Peruvian courts just absolved 52 Indigenous men and women in the well-known case of #Bagua. Also known as “Baguazo,” the case refers to the 2009 massacre in the Amazon. Hundreds of people from the Awajún and Wampis nations blocked a road in the area called Curva del Diablo (Bagua, Amazonas) to contest oil drilling without prior consultation on their territory. 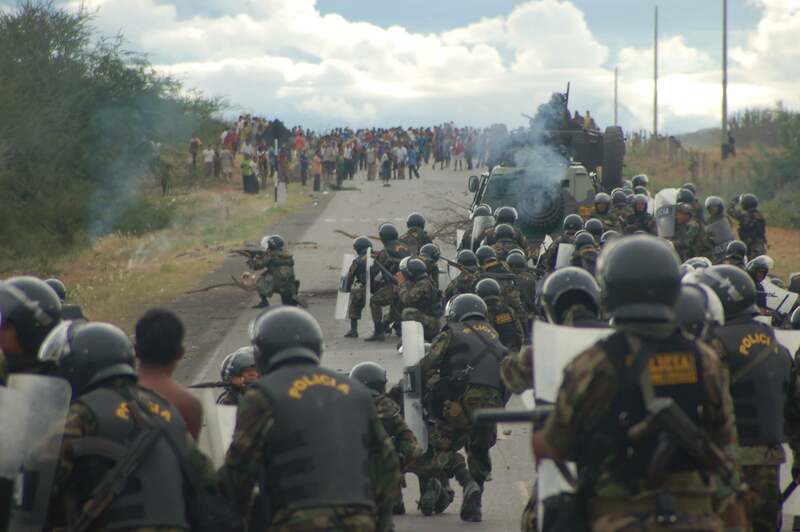 Several weeks of Indigenous resistance led to a powerful standoff with former-Peruvian President Alan Garcia responding with a militarized crackdown. The military opened fire on protesters on the ground and from helicopters in what survivors described as a “rain of bullets.” At least 32 people were killed, including 12 police officers. This marks an important precedent. Peruvian courts showed their autonomy in rejecting fabricated accusations against peaceful Indigenous protesters defending nature. This will hopefully show that the defense of nature, like journalism, is not a crime. Most importantly, the court respected the organizational and territorial autonomy of Indigenous Peoples. Indeed, Indigenous Peoples were right to close the road rather than have their rights violated. In Bagua as in Standing Rock, Indigenous Peoples have the sovereign authority to block roads to protect territory, water, and the well-being of generations to come. It is time that all courts respect such inalienable rights with the same fervor that Indigenous Peoples defend their territories.